Our beloved mobile devices rely on a new type of input: multi-touch gesture. This is a relatively new domain, and while some gestures, as pinch to zoom, are becoming a standard interaction, there are many others used sporadically and inconsistently among apps. Multi-touch gesture is a powerful new way to express input, but how can an app overcome the discoverability challenges? In this article I am listing few solutions I have run into and few thoughts about their pro and cons. 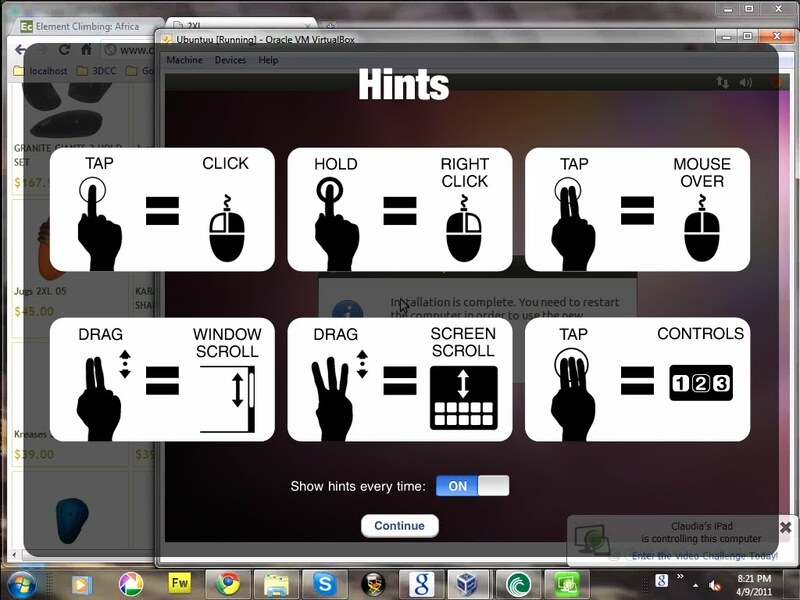 Some app, as ArtRage, display all available gestures in a separate window or pop-up invoked from a traditional help button. The advantage is that I can get help when I need it. 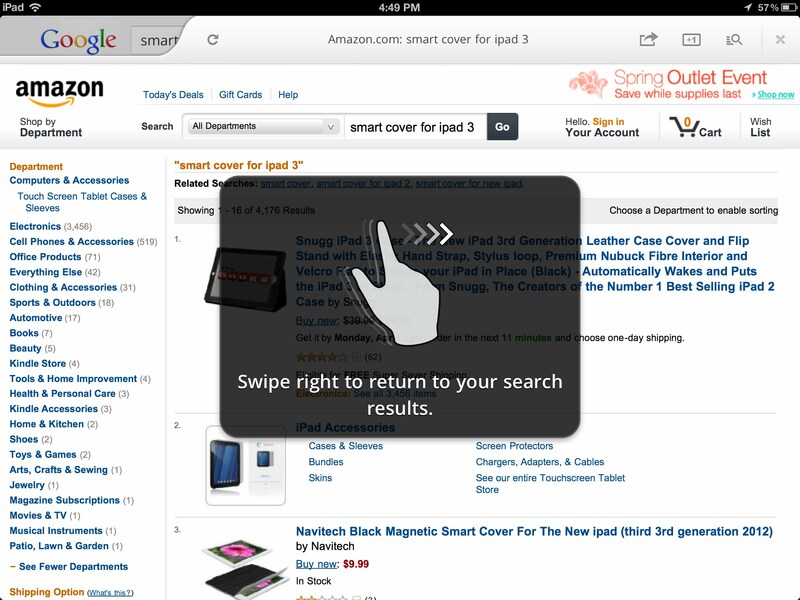 The disadvantage is that I may never open the help to discover that multiple gestures are available. Some apps, as RDP or Spashtop Remote, display a help screen at the startup which illustrates all main gestures used in the app. The advantage is that I have to view this information at least once. The disadvantage is that this information shows when I less need it. The pop-up is kind of annoying, but I am afraid to permanently closing it, for when I need it in the future. I keep dealing with it, yet being mildly annoyed. More important, I am not sure how to get this information while using the app, which is when I actually need it. Another strategy, used by Google app, is to display a help tip the first time I am in a context where the tip applies. The advantage is that this information shows when I most likely need it. The disadvantage is that I may forget the gesture in the future, and have no way to bring back these instructions. Finally some app, as Sanpseed, display help information both at the first launch of the app and on demand. The advantage is that the information is both discoverable for the first time user and easy to retrieve when you need it. This solution provides a place to display both help on the gestures and on other areas of the user interface. I can't see any obvious disadvantage, except that you may need to remember to get help.